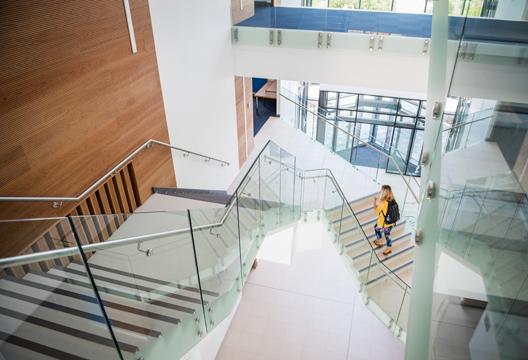 The University of Bath’s newest building was officially opened today by psychologist Dame Professor Vicki Bruce, providing space for the expansion of the Department of Psychology. It also includes the new Centre for Applied Autism Research and a new home for the Institute for Policy Research, which aims to inform the future policies of local, national and supranational governments. Professor Uta Frith, who has conducted ground-breaking research into autism, opened the new Centre for Applied Autism Research (CAAR) and also received an honorary degree from the university (which is celebrating its 50th anniversary). CAAR was established this year by Drs Chris Ashwin, Mark Brosnan, Katie Maras and Ailsa Russell, from the Department of Psychology. Its research aims to understand autism through world-class research, translate theory into practical applications, fully include the community within research, and to offer an educational and research resource for autism.